Changing the world one business, one home, one person at a time. By reconnecting with the wisdom of the ages, we can manage our environments to promote wellness and healing in the world. It can be done and these are some of the results clients have experienced. "I moved offices recently and received a commercial Feng Shui consultation from Diana Garber. I implemented the remedies as she suggested, and obtained two new corporate clients within a week!" "We've been in this commercial building for 49 years with additions added at various different periods of time. The business was experiencing a noticeably steady decline, especially since the 1990's. Within the last 3 years, even though there has been a recession, it declined even more drastically. Determined not to give up, I hired Diana Garber of Intuitive Concepts to analyze the energy. We're about 60% complete with the Feng Shui recommendations in 3 months. I believe business has increased 100%! The phone is ringing again and we're busy! I also made staff changes that made a huge difference in cash flow energy. Another troublesome staff member left suddenly." "This has been a monumental year for Royer Realty. We celebrated our silver (25th) anniversary, I continue to be the #1 realtor in Logan County, and we hired Intuitive Concepts to help with the next 25. I am very happy with the Feng Shui/energy changes that Diana made for the building and in our offices. We will surpass our 2013 goals this month -- and it's only August! I am working with her on my new house, and am excited to see results there too." 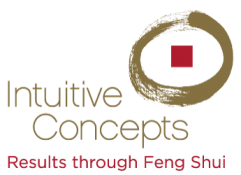 "After following Intuitive Concepts' advice on how to implement authentic Feng Shui remedies, I saved $40,000 in my businesses," reports Brian Heins. "My wife researched Feng Shui, and Feng Shui providers, but said all roads kept leading back to Diana Garber at Intuitive Concepts. All Feng Shui is not the same, and this was the right step for us." To hear the Heins' testimony about saving $40,000, visit YouTube. There you'll also find other videos from Brian and Virginia Heins regarding their experience and results. "Diana Garber of Intuitive Concepts analyzed my company's new location last summer when we were moving in. The energy showed theft, auto accidents, and death. Business was already suffering and staff issues were also a problem. The move and business concerns overshadowed Feng Shui, so I didn't get around to implementing remedies. Everything Diana said came true, even down to identifying which staff members would cause problems. An employee embezzled $50,000 and wrecked the company truck. When I filed legal charges, he took his life. One of the things I did implement (as she instructed) was changing our bidding process. As a result, bids were accepted more readily which led to more business. We're so busy now I'm hiring more people. Anyway, after things started to settle, I called Diana and asked that we revisit the Feng Shui analysis. She came over and we reviewed everything." Feng Shui helped smooth the path for a more efficient and profitable journey. "On August 5th of 2013 we moved in to the new space. With our heightening of our Feng Shui, our business has really take off. At the end of July 2014 we are $500,000 ahead of our sales goal for the year with gross margin the highest that we have ever had. The amount of asbestos inspection and abatement jobs have already surpassed what we did all last year, and this is only July. We have sent 6 team members to Aileron’s Executive Profession Management training and are sending more soon. We have completed our written strategic and succession plan and are implementing it now. We are so thrilled that the company has reached a new level. Make Feng Shui one of your tools. Diana is great to work with and the results are tangible and quantifiable. Please stop by our office anytime and experience it for yourself. We love our space and you will too." READY TO EXPERIENCE YOUR OWN RESULTS?